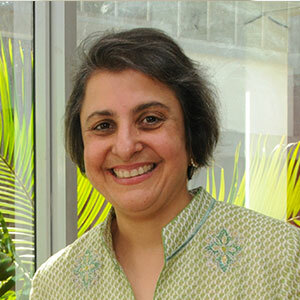 Rati has been a Director at the Forbes Marshall group of companies since 1992; and has been involved in overseeing the Human Resources function till three years ago. Today, Rati focuses full time on the social initiatives the company has developed and grown, over the last several years. Rati also heads the Foundation, which Forbes Marshall set up six years ago. She has initiated several programs for underprivileged women and children from neighboring communities; the focus areas being health, education and women's empowerment.